Complete and submit an application form, available here or through the school. Make an appointment to visit our school. 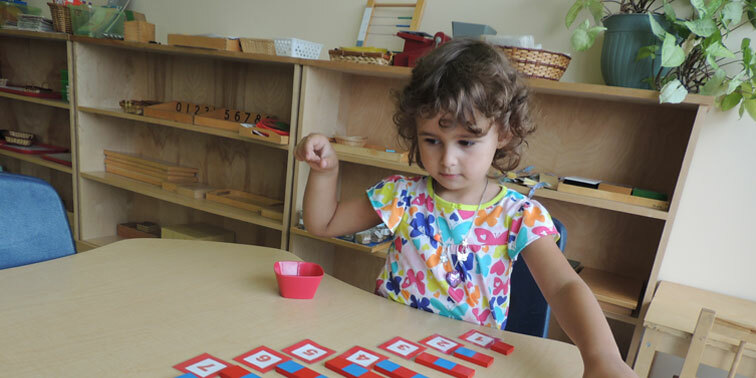 The best way to decide if Montessori Academy is the right school for your child is to observe Montessori education in action. Once an application is accepted, the Head of School will contact prospective families to arrange an informal interview. Registration and Activity Fee: $350 (This Fee includes one yearbook per family). Please Note: Our academy is closed at 7:00pm each day. Any child that remains at school beyond this time will be charged $15.00 per quarter hour, this amount is payable directly to the staff on duty. You will be billed for childcare at the beginning of each subsequent month. You now have the option of paying your child’s tuition in 10 or 12 installments. e.g. : If Billy owes $6000.00 annually with option 1 he pays 10 installments of $600.00; with option 2 he pays 12 installments of $500.00. In either case, the first of these payments is made in the form of a current dated cheque which will be your deposit and payment for the final month’s tuition. The remaining cheques must be post-dated for the first of each month beginning with September of the current school year.